The CVC Team is Your Local Palm Desert General Contractor. Contact Us Today for a Free Consultation! General contractor Palm Desert needs have been met by Coachella Valley Construction for over 20+ years. We are professional and licensed Palm Desert Contractors. As a Palm Desert homeowner, you may at one point be yourself asking how to find good licensed professional general contractors. You may need to remodel your kitchen or bathroom, add an additional room or conduct some home improvement projects. The good news is you don’t need to look any further, our resume is filled with stellar references. Well, for one, professional expertise. Years of it. We are finely tuned and aware of any and all procedures that go in hand with kitchens and bathroom remodeling, construction, restoration, and renovation. Simply put, you are guaranteed to have a quality job, done right the first time. With a client-focused approach to construction, remodeling, and restoration, The CVC Team has a burning passion for exceeding client expectations. Over the years, we have created a rock-solid reputation from hundreds of happy clients. The days of choosing a renovation and building team without experience, customer service or industry knowledge should be well in the past. The CVC team is willing and ready to push hard and remain focused on achieving the highest of results. For all property owners, it’s time to take action and step forward towards a brighter, modernized future by working with a construction and general contracting company where quality is the core of our persona. Palm Desert & Palm Springs residents – Click to call us (760) 641-2192 when you need general contracting services. Picture-Perfect Results, that’s the goal when looking, finding and working with Palm Desert contractors The first “Wow!” is what this team lives for. All results will be picture-perfect down to the last detail, and that’s guaranteed. As building, constructors our personnel are skilled in acquiring the material best suited for your theme, job, and budget to go with any type of remodel you are looking to complete. Our courteous team has the necessary required skills and customer service to complete on time and on a budget, guaranteed. Our primary goal is to exceed each and every one of our client’s expectations. Everyone has a specific vision of how their property will look after work has been done. This is going to be discussed before, during, and after the project is complete. Our company prides itself on exceeding expectations for every one of our clients. It can include materials used, techniques applied, or anything else involved in completing a home makeover. Dreams become a reality because Coachella Valley Construction are the best Palm Desert contractors who seek the greatest of heights for all of our clients. Why do clients prefer CVC over the rest? It comes down to being a trusted name in the Coachella Valley area and having established relationships with our professional industry colleagues. This is a team that’s well-regarded for professional expertise and seamlessness with all projects regardless of size, timeline or budget. We believe that nothing says more about reputation than our multitude of happy clients. CVC has years of experience as general contractors completing construction, remodeling, and restoration projects of various scope, material, time and budget. We provide our professional level experience to our happy potential clients all throughout Palm Springs, Palm Desert, La Quinta, Indio, Indian Wells, Coachella, Cathedral City, Desert Hot Springs, Rancho Mirage and Riverside CA areas and beyond. Coachella Valley Construction is a team of general contractors that are licensed, insured and bonded. When hiring builders or renovation companies it is vitally important to confirm they are licensed and insured. Hiring general contractors that are not insured is dangerous for your home and wallet. Trying to cut corners and save a dollar or two always ends up costing more in not just money but time, effort and trust. The days of going rolling the dice and randomly picking a dodgy service construction team should be well in the past. It’s time to move forward with a proven dedicated team that always puts an emphasis on quality and work hard. CVC does just that. Let’s take a glance what makes us leading general contractors and the most professional construction company in all of Palm Desert. Coachella Valley Construction is home to service centered professionals and representatives who have experience and knowledge in construction and remodeling. This helps ensures the end results of our projects are seamless and in sync with each of our client’s requirements. The main areas of expertise our clients in the Coachella valley and beyond trust us in are but not limited to: bathroom and kitchen remodeling, room additions and extensions, new construction and water and fire damage restoration. Please inquire about additional remodeling services and seek out one of our professionals for assistance. The first step to a perfect remodeling or construction job begins with a just a simple phone call. Why settle for less when CVC is ready to deliver results? 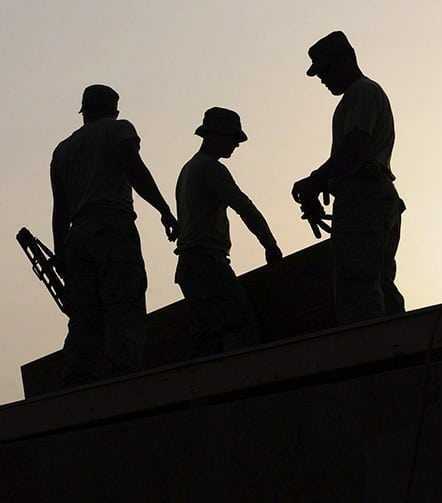 Additional information on California State Licensed Contractors can be found here. We've done a couple of different projects with Coachella Valley Construction. They always double check to make sure things are done right the first time. They have skilled people who work hard to understand our business needs. They're very consistent in their project approach. Unlike other contractors, they're detail focused in their planning, execution, and organization of our renovations. If you’re not quite sure what exact design or materials would work best for your home or remodel you can rely on us to give you a few different ideas and feedback for what we’ve seen work best. As natural architects, builders and craftsman, we can provide researched examples of similar projects or remodels and samples of materials for you to view and feel. Looking to get a home renovation project completed by a particular deadline? We understand there are specific requirements for a project whether it’s a kitchen extension or a kitchen remodel. Each of our clients comes in with their list of expectations as they should, and we do are best to adhere to them and if we can’t we’ll let you know exactly why not and provide alternatives to meet your needs. Coachella Valley Construction is relentless in meeting client requirements from project initiation all the way through to closure. Don’t settle for less. Quality is not something we take lightly or should you. Quality is priority. We continuously remain committed to helping our clients achieve maximum results from their project, remodel and property for short and long-term results. Whether you’re looking to add value to your home or upgrading aesthetics rest assured personalized touches will be added with care. Why take a chance with those who are not willing to go the extra mile and take shortcuts? Quality is a foundational criterion of construction, no pun intended. Unlike other contractors who continuously tack on additional charges for materials and labor we will ensure that we do what we can to limit and minimize unnecessary expenditure while completing your project, construction or restoration to your specification. We are able to do this because of our well established and fostered relationships with all of our suppliers. This enables us to pass on fair prices when it comes to acquiring materials and labor. Project budget and material options will be thoroughly discussed with you prior to executing or initiating any contracts to make sure expectations for all parties are congruent. Furthermore, our professionals will breakdown the contract details so that you can be able to pinpoint each expenditure. We prefer to have a transparent relationship with our clients and this process is what helps us achieve just that. The only surprises we like are birthday parties. Servicing the greater Coachella Valley Area, CVC provides an array of professional services for any of your home construction, house extensions, kitchen remodeling, bathroom remodeling, and water damage restoration needs. Coachella Valley Construction is located at Palm Desert, CA 92260. Call us at (760) 641-2192 to schedule an appointment with one of our team members today!